Danish guitarist Torben Waldorff follows up his Artist Share debut, Brilliance: Live at the 55 Bar (2006) with Afterburn, a studio session featuring the same core group of New Yorkers featured on his previous release. 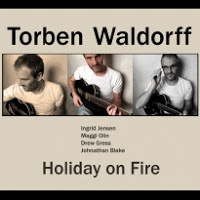 Based in Denmark and Sweden, but educated in the States, Waldorff is a shining example of today's vibrant international jazz scene. A reunion of sorts, Donny McCaslin (tenor) Matt Clohesy (bass) and Jon Wikan (drums) are joined by keyboardist Sam Yahel on a stirring set of original tunes. With all but three pieces written by the leader, the quintet explores Waldorff's sophisticated harmonies and elaborate structures with sympathetic accord and virtuosic interplay. 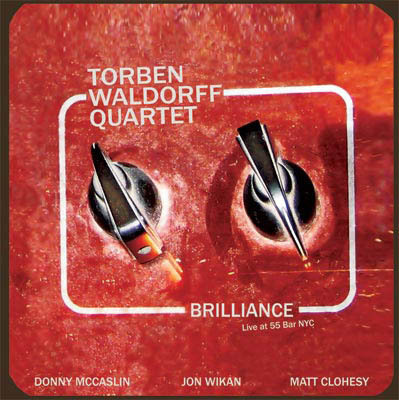 The close-knit rhythm section of Yahel, Clohesy and Wikan shades Waldorff's elegant compositions with colorful harmonic accents and lively tempo displacements. A familiar face on the New York scene, McCaslin's adventurous work with Dave Binney, Dave Douglas and Maria Schneider is ample proof of his talents. 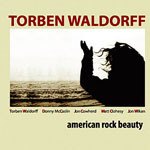 An adherent of the post-Metheny/Scofield school, Waldorff is a confident melodist with a tendency towards understated experimentation. His bright processed tone and lilting, lyric phrases blend seamlessly with McCaslin's muscular timbre and intervallic cadences as they weave thorny lines into harmonious variations. With an almost telepathic rapport, McCaslin and Waldorff (former classmates at the Berkley College of Music) alter, embellish and extend each other's phrases with uncanny precision. Their emotionally vibrant unison lines on the exuberant rocker "Daze," and the serpentine cascades of the labyrinthine "Squealfish" offer thrilling highlights on a session with no shortage of effervescence. The ebullient jazz waltz, "Espresso Crescent" ripples with a rousing tenor/guitar exchange, while "Skyliner" grooves with subtle Latin touches. Invoking the American Heartland, "JWS" soulfully captures an optimistic countrified vibe and the noir inflected "Man In The Black Hat" swaggers with evocative blues. Demonstrating lyrical restraint, Maria Schneider's romantic Brazilian choro "Choro Dancado" unveils the band at their most introspective. The ethereal, Milesian ballad "Heimat" regales with an undercurrent of simmering electricity punctuated by brief turbulence. Expanding their dynamic range, "Eel Thye Deeflat" transforms from a floating rubato meditation to a spiky free excursion with McCaslin's angular abstractions providing the climax. 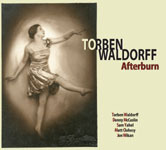 Waldorff's fourth album as a leader, Afterburn presents a program of mainstream jazz at its most high-spirited, inventive and emotionally resonanthighly recommended. Track Listing: Daze; JWS; Espresso Crescent; Choro Dancado Heimat; Squealfish; Eel Thye Deeflat; Skyliner; Man In The Black Hat. 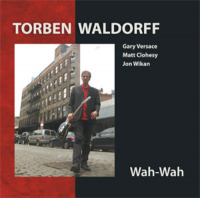 Personnel: Torben Waldorff: guitar; Donny McCaslin: tenor saxophone; Sam Yahel: piano, Fender Rhodes, organ; Matt Clohesy: bass; Jon Wikan: drums.